Jeremy Corbyn’s allies must drop plans to de-select internal critics, Sadiq Khan said today, as he warned that any talk of a split could kill of the Labour Party. Khan, who as London mayor has the largest personal mandate of any politician in British history, told supporters of the new leader that plans to oust Corbynsceptic MPs was simply “wrong”. He also spelled out his fears that an attempt at a breakaway by MPs and members disgruntled by the re-election of Corbyn could lead to “the end of the party”. 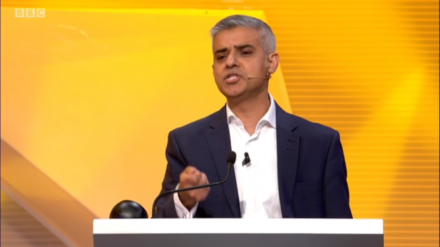 Khan who was one of the 36 MPs who nominated Corbyn in the leadership election last summer but has distanced himself from the veteran socialist over the last 16 months. Today he tells the Labour leader that he must try to unite the party and reject any plans to use the Boundary Review, which will cut the number of MPs by 50 to 600, as a vehicle to remove critics. “Reviewing boundaries should not be an excuse for Conservatives or others to reduce the number of Labour MPs,” he told the Sunday Times. The summer leadership contest was clouded by rumours in Westminster of a breakaway in the event Corbyn was-relected. His challenger, Owen Smith, tried to kill off the debate and now Khan has also warned than prospect of a formal split, or “semi-split” of centrist MPs sitting in parliament, would harm Labour irrecoverably. “We know from history, the Gang of Four in the 1980s, that when the Labour Party splits we are out of power for a generation,” Khan said.